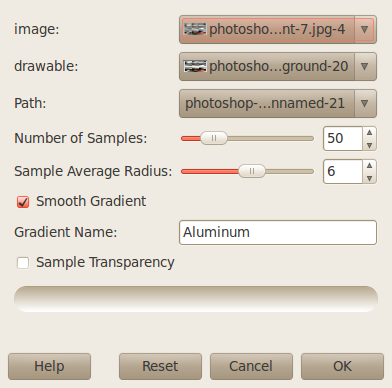 All Things GIMP: So, You Want A Photoshop Gradient For GIMP, Huh? 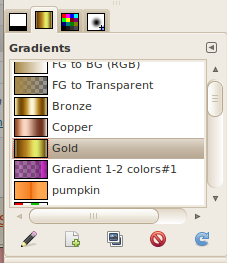 So, You Want A Photoshop Gradient For GIMP, Huh? I'm putting this out there because I ran across this issue when I was converting a Photoshop Tutorial using GIMP. The gradient in question wasn't available, so, like everyone else, I hit the internet and started searching for gradient conversion possibilities. Unfortunately, there are none. No, Xnview doesn't work. No, renaming the file extension doesn't work. And NO, using the hex format via text file will not work, either. If none of these mentioned options jump out at you, don't fret, they don't work anyway. But there is hope, and it's in the simple form of a very unique script, written by RobA. It's called Sample Gradient Along A Path, and can be found here. Don't understand how to install scripts? No problem, read here. The next best thing is finding an image of the gradient you want. There are many gradient images on the internet, most are small, but they will still work with this script. 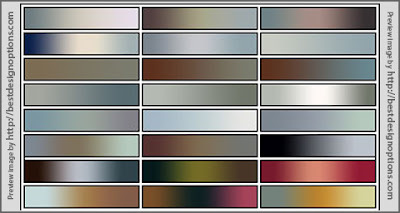 I typed :"PS gradients" searching under Images and found several. 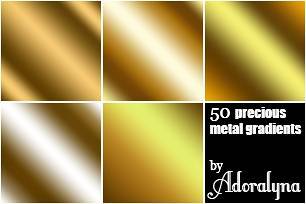 The gradient I was looking for was similar to metallic tubing, like copper, gold, or aluminum. I doubled the samples and average, because I thought it would make the gradient more fluid. Then be sure to name your gradient, preferably not the same as an existing gradient. Click ok, and watch in the Gradient Dialog as your gradient is created.